National Police Commission (NPC) Secretary Ariyadasa Cooray has been removed from the post with effect from today. Mr. Cooray said he had received a letter from the Commission informing that he was suspended from the post according to a Public Administration Circular. to the Public Administration Circular No 03/2018, which was issued in February, a retired Public Official beyond 60 years of age should not be employed in an approved post in the Public Service. 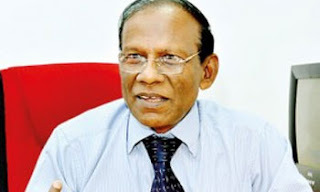 He said Mr. Cooray was in not in position to function as the Secretary according to new regulations.